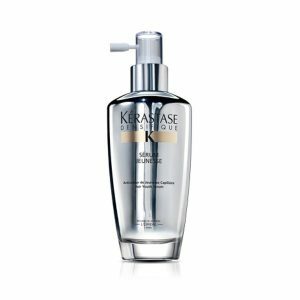 Kérastase Densifique hair serum is a cosmetic designed to treat mature hair, which is noticeably sparse, starts greying, and is weak. Such hair requires proper nourishment and regeneration to preserve its vitality. The brand defines Densifique Sérum Jeunesse as a hair care solution that is able to bring out all the features of young hair. What is more, not only does the serum nourish, moisture and regenerate, but also boosts the volume of hair due to lifting the roots up. In general, the cosmetic is responsible for making hair dense. 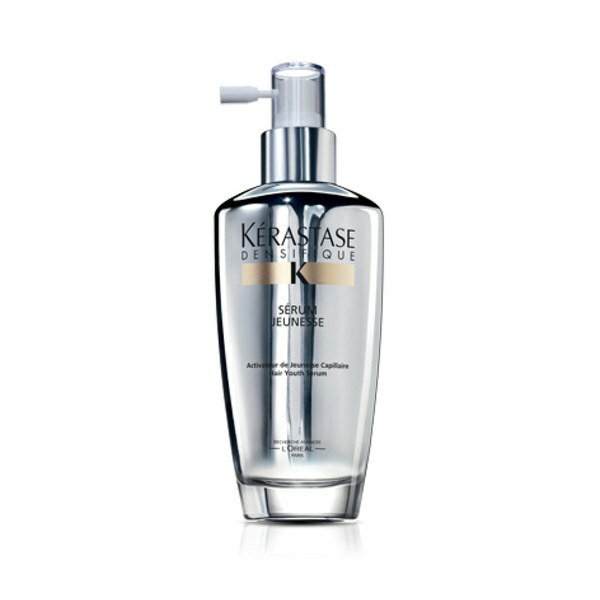 Furthermore, the serum softens and smooths hair. Hence, the strands are shining again. The product has also colour protect action. All of these are possible thanks to Stemoxydine that facilitates functioning of steam cells of follicles. Kérastase developed light-formula hair serum of delicate fragrance, which combines fruity notes with lily of the valley, rose, hyacinth, and even sandal wood, musk and cedar together. The intensity of the fragrance changes as the time passes by. The hair serum can be used every day, all year long, to protect hair against dehydration. The serum is supposed to be applied to clean and dry hair. This procedure is facilitated due to a spray applicator. The cosmetic does not have to be rinsed off. What is worth pointing out, the active substances start working and interfere with hair once exposed to warmth, therefore it is suggested blowdrying strands after coating them with Kérastase Densifique.